The popular saying 'everyday for the thief, one day for the owner of the house' was confirmed in the lives of two robbers recently. The two ''unlucky'' thieves were humiliated in public after they were nabbed stealing a goat. According to reports, the thieves had already stolen the goat and were in the process of roasting it to prepare meat before the rightful owner caught them in the act after a tip-off. 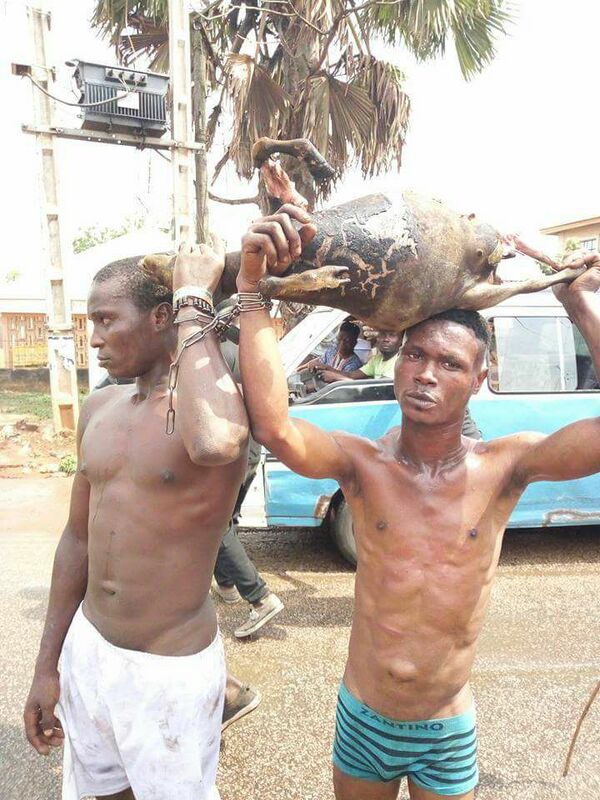 The robbers were forced to carry the unfinished roasted goat on their heads as they were paraded in public for all to see.